Since the attention of the consumers has shifted from the conventional media channels to always-on-display, the demand for advanced devices, created by combining multiple devices in novel ways for multitasking in order to enhance their efficiency, functionality, and overall user experience. The need for uncomplicated content sharing and connecting with others has been influencing the global cross platform and mobile advertising market significantly. Cross-platform advertising is a new and emerging concept, which is highly supportive of mobile advertising methods. With the interaction of consumers on various devices, important information about their need, choice, and interest for shopping is revealed, using which, marketers are reaching their target customers and interacting with them across multiple devices. Over the last few years, mobile advertising has evolved as a significant component of mobile marketing, standing close to online advertisement since, via mobile advertisement, publishers, advertisers, and markets can target their specific customers on their mobile devices. Nowadays, people are relying on multi-screens for online shopping. Most of the media time of these consumers is spent on smartphones, tablets, laptops, computers, and smart televisions. This behavior of consumers has acted as a catalyst in the advent of cross platform and mobile advertising, which is reflected in the market’s tremendous progress since the recent past. Several established IT companies, such as Google, have surfaced as the key providers of advertising solutions on cross platforms across the world. The global cross platform and mobile advertising market is expected to ride on the need for interactive advertising to propel business growth. Interactive advertising has a major role to play in today’s era of digital marketing. Out of all the other forms of interactive advertising, cross platform advertising and mobile advertising have emerged as the most promising ones, although they are two different concepts. In the near future, the global market is anticipated to parade a weighty buildout. The rise in the usage of mobile internet and furtherance of network technologies are predicted to set the stage for growth for the global cross platform and mobile advertising market. 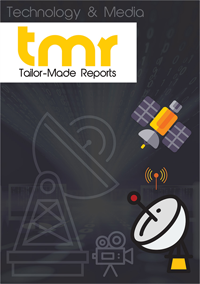 Besides these, it is expected of the emergence of unprecedented mobile internet devices to spur the market growth. Other growth drivers of the global cross platform and mobile advertising market include the multiple advertising platforms and the advancing trend of mobile applications. There are different parameters that the international cross platform and mobile advertising market is categorized into, viz. advertising platform, type of advertising, end-use verticals, geography, devices, services, and solutions. Considering the advertising platform categorization, the global cross platform and mobile advertising market is segmented into two broad categories, i.e. cross platform advertising platform and mobile advertising platform. Among others, in-app advertising, rich media and display advertising, search advertising, and messaging advertising are the critical segments of the market on the basis of advertising type. In terms of end-use verticals, the market segmentation follows as healthcare, banking, financial services, and insurance (BFSI), media, energy and utilities, transportation and logistics, and telecommunication. With regard to the devices segregation, the segments include smart TV, PCs and laptops, and feature mobile phones and smartphones. The services type of categorization displays two important segments, viz. integration services and consulting services. In respect of solutions, the five crucial divisions of the market are integrated solutions, reporting and analytics solutions, content delivery solutions, advertise campaign solutions, and mobile proximity solutions. Geographically, the market is spread across significant segments, which are Europe, Asia Pacific, North America, and Rest of the World. 4info, Amobee, AOL Inc., Apple Inc., Facebook Inc., Google Inc., Inmobi, Jumptap, Inc., Millennial Media, Microsoft Corporation, Mojiva, Inc., Nokia Corporation, Telenav, Inc., and Yahoo! Inc. are some of the leading players envisioned by the analysts to make a mark in the worldwide cross platform and mobile advertising market. The report has analyzed and studied the most deciding aspects of each company that have led the business to see a substantial growth in the global market. Although the global market could experience a slack in its growth, owing to the complexity in cross platform advertising and privacy and location issues, there are some great opportunities available for the vendors. With the inception of mobile proximity marketing and acceptance of customers, the market is foretold to exhibit strong growth against the few constraints.